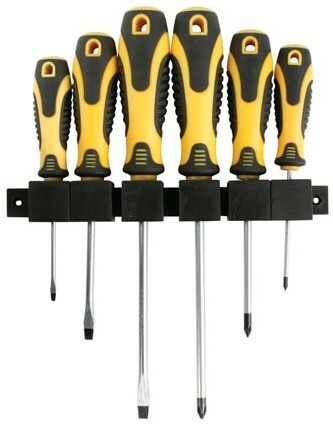 Velleman HSET09 six piece screwdriver set with soft grip handles. Hardened and tempered steel blades with chrome vanadium finish and black tips. Set supplied in plastic holder.